Snails are usually considered a French ingredient, but are actually growing in popularity in the UK after a growth of snail farming in certain areas. When cooked correctly they are utterly delicious and can be partnered with fish, meat and vegetarian ingredients. 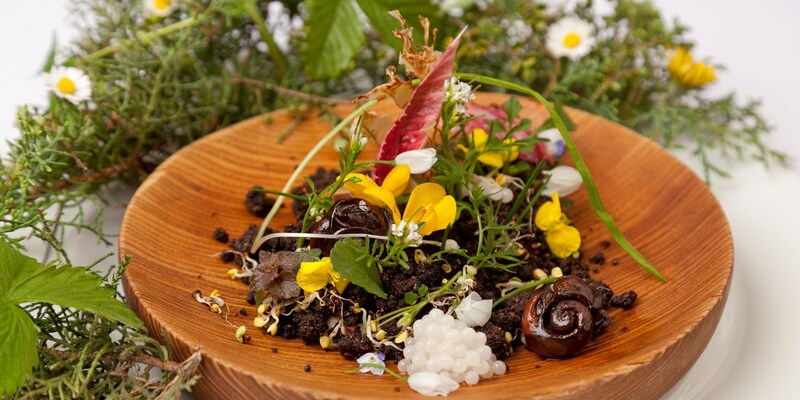 Delve into this slick collection of snail recipes, which includes Pascal's Aussignac's snail cassolette, Laurie Gear's quirky snail bon bons, and onion and wild garlic with snails from Simon Hulstone.